Learn how your school can get access to teaching resources and how to get one of our exhibits at your event or festival. 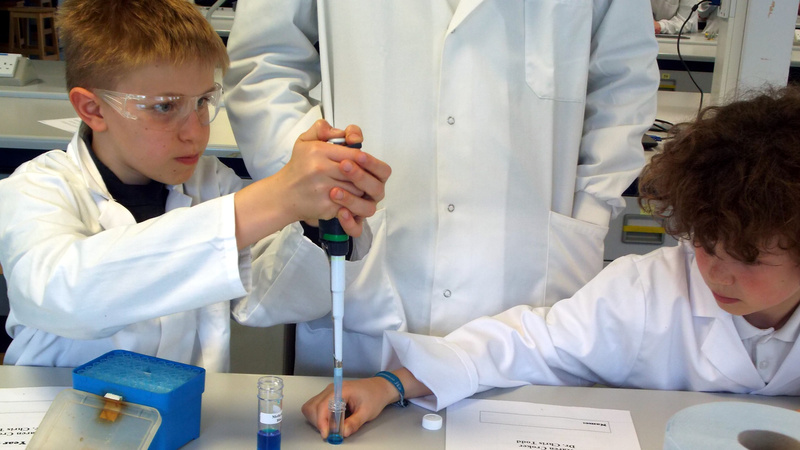 The activities we offer are a great way to put the science you teach into context. All our outreach activities are free of charge. We run speed science workshops where students can meet scientists and learn about their work in the area of evolution. We also offer hands-on activities taking place in our undergraduate teaching labs. Students will get the chance to use our state-of-the-art equipment and facilities. Among other activities, they will learn how to extract their own DNA, observe cells through a microscope and explore the diffraction of light. Students will get an insight into the work done by scientists at Bath and they will find out, in a fun way, why science is relevant to their lives. This activity is suitable for Key Stages 2, 3 and 4. We like to go out to events to meet people and invite them to learn about evolution. Our exhibits give you the chance to learn about evolution in an interactive way. We don't charge to come to your event. 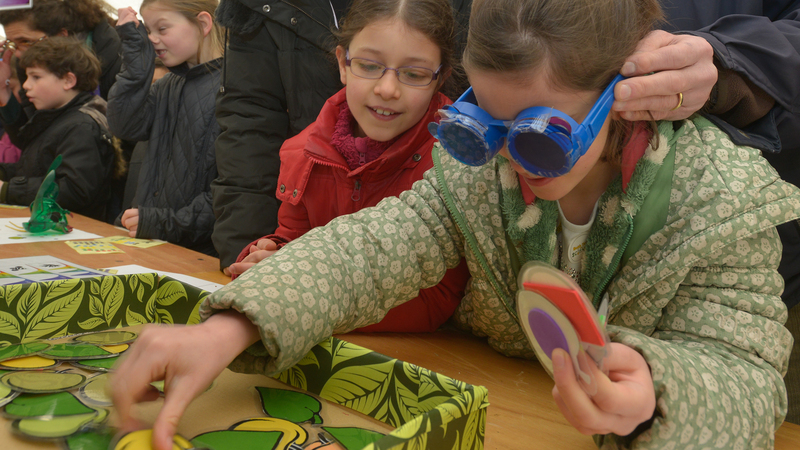 This is an interactive stall about the evolution of the eye and colour vision. Through a series of games and hands-on activities you will learn about how your eyes work and how they have been shaped in different ways across species during evolution. You will also learn how genes shape what colours we are able to perceive. This exhibit is suitable for all ages. You will get hands-on with winged insects and compare them, looking at the difference in their wing and leg shape and body structure to better understand how these variations reflect how species adapt to their environment. This exhibit is suitable for children aged four to twelve. Through hands-on activities you will learn about the timeline of the evolution of life on earth and how species adapt to survive in their environment. The exhibit is suitable for all ages. We can come to your school and give a talk on evolution, genetics or choosing biology as a career. Talks can be general or more specific, to align with your teaching. To help your students get the most of the talk, we'll make sure there's time for questions at the end. This talk is aimed at Key Stage 5. This talk is aimed at Key Stages 4 and 5. This is an interactive talk which includes extracting DNA. This talk is aimed at Key Stages 3, 4 and 5. This is an interactive talk aimed at Key Stages 1 and 2. These are examples of talks we can offer. They range in length from half an hour to an hour. Get in touch to discuss your needs and we'll be happy to recommend the best talks for your students. We offer resources that will help you when preparing lessons on evolution and inheritance. 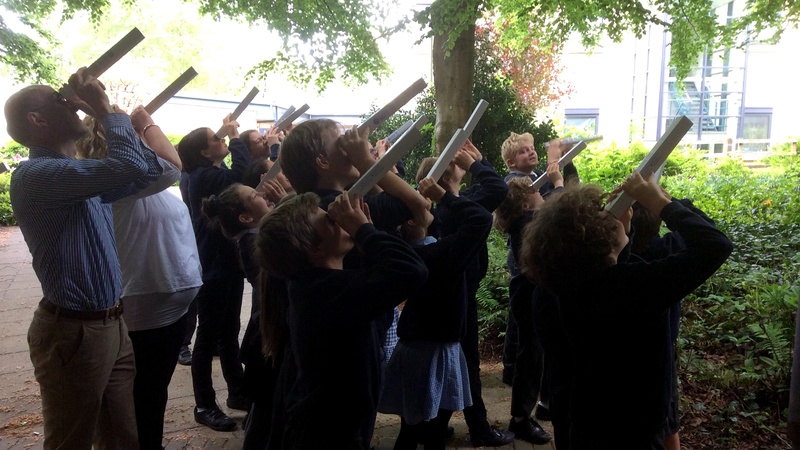 We can visit your school to deliver workshops involving hands-on activities and the teaching of basic concepts about evolution, aligned with the national curriculum. The workshops are aimed at Key Stages 2, 3, 4 and 5. Please get in touch with Paula Kover if you would like us to visit your school for a teaching workshop or help with developing evolution lessons. We've created a website about teaching evolution for primary school children, which includes a Teacher's Guide to Evolution. We've developed a lesson plan to introduce or recap environmental and inherited variation. Download the lesson plan from TES Teaching Resources. GEVOteach is a research project about finding the best ways to teach basic concepts in evolution and genetics. Several schools are taking part in this project. Schools are provided with teaching packs and they evaluate students' understanding of the topics. Contact Ed Feil to be added to the mailing list Join the Milner Centre Outreach mailing list to receive emails about upcoming outreach events.